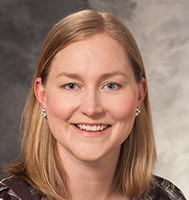 Dr. Darsie is an assistant professor of emergency medicine and neurosurgery at the University of Wisconsin School of Medicine and Public Health. She is certified in Emergency Medicine and Neurocritical Care (UCNS). Dr. Darsie joined UW Health after completion of her neurocritical care fellowship at the University of North Carolina, Chapel Hill, where she also attended residency and served as Chief Resident.